Pyrenean brown bears: how many are there? Paw prints report: any paw prints left by a bear are plaster moulded and compared to a list of paw prints reference. This can allow, in some cases, to identify an animal. 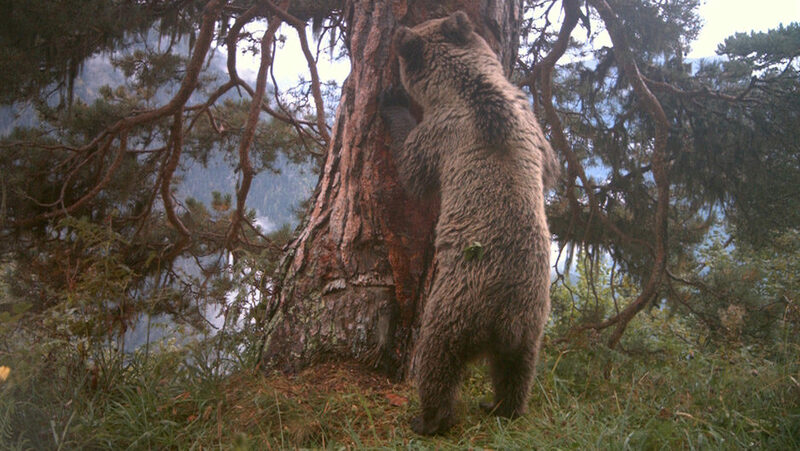 Photographic trapping: bears are lured with food such as meat, fish, treacle or anise in order to get in the camera field of view. This camera, which has got a sensor, starts triggering when the bear appears. Hair trapping: a few devices, among them brushes, are tied to the trunk of some strategic trees. Most of the time these trunks have been coated with lure and the bear, which will rub on it, will leave a sample of hair. And as the video shows it, it works! These samples will be examined and a genetics study will allow not only to identify the animal but also to find is family tree. Currently, there are around thirty bears in the Pyrenees. Previous postCantabrian brown bears: how many are there? Cantabrian brown bears: how many are there?